The soundtrack for Norwegian Wood, the new film based on Haruki Murakami’s bestselling novel , featuring a score by Jonny Greenwood, is out now. We suggest you head on over here to get it. Nonesuch releases guitarist/composer Jonny Greenwood’s instrumental score to director Tran Anh Hung’s film Norwegian Wood on March 8. An adaptation of Haruki Murakami’s bestselling novel, the film will be released in the UK by Soda Pictures on March 11, and stars Kenichi Matsuyama, Rinko Kikuchi and Kiko Mizuhara. The score is performed by the BBC Concert Orchestra led by Robert Ziegler, and the Emperor Quartet, and is produced by Graeme Stewart. The soundtrack album also features three tracks written and performed by CAN. Born in Kyoto, Japan, in 1949, Haruki Murakami published his first novel, Hear the Wind Sing, in 1979, earning him the Gunzou Literature Prize for budding writers. In 1987, he published Norwegian Wood, which went on to become the book that gained him a domestic and global following, with its various editions and volumes combined selling more than 10 million copies in Japan and 2.6 million overseas to date. Tran Anh Hung’s directorial debut, The Scent of Green Papaya (1992), won the Camera d’Or at Cannes and was nominated for the Academy Award for Best Foreign Language Film. His second film, Cyclo (1995), won the Golden Lion Award for Best Film at the Venice Film Festival. His other films include The Vertical Ray of the Sun (2000) and I Come with the Rain (2009). In addition to his work with the band Radiohead, Jonny Greenwood has made a considerable name for himself as a composer in recent years. His Grammy- and BAFTA-nominated score for Paul Thomas Anderson’s 2007 film There Will Be Blood, released on Nonesuch, won the award for Best Film Score at the Evening Standard British Film Awards and the Ivor Novello Award for Best Original Film Score. His first solo project was a soundtrack for the Simon Pummell film Bodysong in 2003, and in 2004 Greenwood became BBC Radio 3’s Composer in Residence. His work under this appointment included Popcorn Superhet Receiver, which won the BBC Radio 3 Listeners’ Award at the 2006 British Composer Awards. It may not be the week’s biggest bit of Radiohead news, but the band’s Jonny Greenwood has been announced as the composer for a new film starring Tilda Swinton. Greenwood will score We Need to Talk About Kevin, the third feature by Scottish director Lynne Ramsay. This is not Greenwood’s first time writing music for the big screen. His debut soundtrack, for Paul Thomas Anderson’s There Will Be Blood, won an Ivor Novello award. This was a minimalist work featuring tense, dissonant strings and tribal drumming. 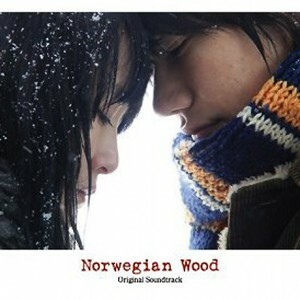 Greenwood also scored a Japanese adaptation of Haruki Murakami’s Norwegian Wood, which is due for release in the UK on 11 March. We Need to Talk About Kevin is based on a novel by Lionel Shriver. It follows the story of a mother, played by Swinton, and her troubled son, who goes on a murderous rampage at his school. Ramsay, who made the acclaimed films Ratcatcher and Morvern Callar, has assembled a cast including John C Reilly and newcomer Ezra Miller. The film is in postproduction, according to the Hollywood Reporter, with a release planned for 2 September. Ramsay has already demonstrated her good taste in film music by having Rachel Portman score Ratcatcher, and featuring songs by Boards of Canada, Aphex Twin and Broadcast in Morvern Callar. This is her first collaboration with Greenwood. Radiohead announced yesterday that their eighth LP, The King of Limbs, will be released on Saturday. 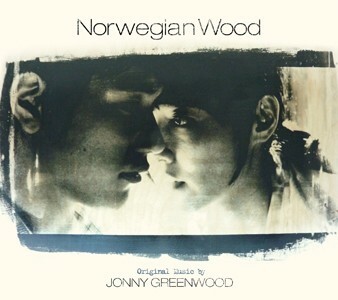 Earlier this year we told you about Jonny doing the score for Norwegian Wood, a movie based on the Haruki Murakami novel. Well, the soundtrack was released on November 10 but before you get too excited, it is only available in Japan. Get ready to shell out some Yen. In addition to Greenwood, German Krautrockers Can are also included on the soundtrack. Thom Yorke to release two new songs on September 22? First Radiohead provided fans with two brand new songs, and now it appears frontman Thom Yorke is on the verge of doing the same: According to Canadian entertainment site Exclaim, Yorke will release a new 12?’ single carrying two new tracks, “The Hollow Earth” and “Apart By Horses” on September 22nd. As Rock Daily previously reported, Yorke recorded a song for the upcoming Twilight sequel New Moon, and judging by the timing of the single’s release, it’s fair to assume that one or possibly both of the songs are Yorke’s contribution to the film. The soundtrack’s first single, Death Cab for Cutie’s “Meet Me on the Equinox,” will debut September 13th, and the film itself hits theaters October 20th. While there’s not much information regarding “The Hollow Earth” — though the title conjures up some of the lyrical imagery in Yorke’s other recent new solo song reportedly titled “The Present Tense” — “Apart By Horses” does have some Radiohead history. Back before In Rainbows “Reckoner” was In Rainbows‘ “Reckoner,” a song bearing that name with the parenthetical title “Feeling Pulled Apart By Horses” was performed a few times at Radiohead concerts. As opposed to the melodic centerpiece that surprised fans when it appeared on In Rainbows, that original “Reckoner” was one of the more harder-edged, guitar-driven songs in Radiohead’s recent output. Bon Iver was also mentioned as contributing a new track. To read the full article, head on over to HitFix.com.